Advice from experts about what to do -- and not to do -- when your ear is blocked with wax. Experts say it protects and cleans the ear. It traps dirt and other matter and keep insects out. Doctors think it might also help protect against infections. And the waxy oil keeps ears from getting too dry. So earwax is good. It even has a medical name: cerumen. And there are two kinds. Most people of European or African ancestry have the "wet" kind: thick and sticky. East Asians commonly have "dry" earwax. The glands in the ear canal that produce the wax make too much in some people. Earwax is normally expelled; it falls out of the ear or gets washed away. But extra wax can harden and form a blockage that interferes with sound waves and reduces hearing. People can also cause a blockage when they try to clean out their ears -- but only push the wax deeper inside. Earwax removal is sometimes necessary. But you have to use a safe method or you could do a lot of damage. Experts at N.I.H., the National Institutes of Health, suggest some ways to treat excessive earwax yourself. They say the wax can be softened with mineral oil, glycerin or ear drops. They say hydrogen peroxide or carbamide peroxide may also help. Another way to remove wax is known as irrigation. With the head upright, take hold of the outer part of the ear. Gently pull upward to straighten the ear canal. 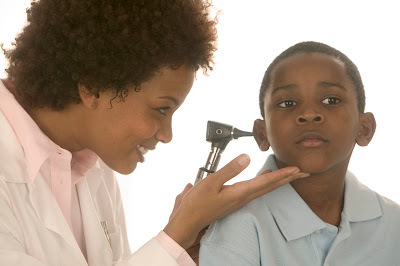 Use a syringe device to gently direct water against the wall of the ear canal. Then turn the head to the side to let the water out. The experts at N.I.H. say you may have to repeat this process a few times. Use water that is body temperature. If the water is cooler or warmer, it could make you feel dizzy. Never try irrigation if the eardrum is broken. It could lead to infection and other problems. After the earwax is gone, gently dry the ear. But if irrigation fails, the best thing to do is to go to a health care provider for professional assistance. You should never put a cotton swab or other object into the ear canal. But you can use a swab or cloth to clean the outer part of the ear. The experts agree with the old saying that you should never put anything smaller than your elbow in your ear. And that’s the VOA Special English Health Report, written by Caty Weaver. I'm Barbara Klein.